Dave Giarrusso grew up in Hingham, Massachusetts the youngest of Bill and Suzanne Giarrusso’s six children. He developed his passion for the sport of lacrosse watching and learning from his older siblings. With little lacrosse in the area, Dave and his brothers began recruiting all of their friends and helping to get the sport recognition within the schools. Their efforts paid off with Hingham High School winning their first state championship in 1986. Their defense was anchored by Dave’s senior brother Tom, and coached by older brother Roy, a Middlebury College lacrosse alumnus, and another brother Mark, a University of New Hampshire lacrosse player. 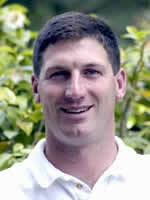 A 1988 graduate of Hingham High School in Massachusetts, Dave was a four year starter, captain and team MVP. He played collegiately at the University of Vermont, where he was again a four year starter, team captain and MVP. Dave and his brother Tom relocated to San Francisco in 1993, where they got immersed in the Bay Area men’s lacrosse scene playing for the West Bay Club under Marty Malloy. Dave began playing Rugby for the Olympic Club and was part of the move to get lacrosse back in to the Olympic Club acting as player coach. He began his lacrosse coaching career at Saint Ignatius Preparatory in 1997, over his six year reign he amassed a 94-7 record. With long time assistant Stephen Wynne, they led the team to three straight CA state championships and an undefeated season in 2002. Dave met his wife Suzanne, assistant lacrosse coach at Saint Ignatius, at a school coaching workshop. He was voted Northern California coach of the year three times, coached four All- Americans and sent numerous players to Division 1 schools. Never forgetting the impact the game has had on his life, Dave was heavily involved in the promotion of the sport in California. Dave was part of the NCJLA board, working with Joel Holland to restructure the league and develop the annual Northern California Coaching Clinic. As president of the NCJLA he brought the Positive Coaching Alliance on as a league partner in 2001. Working with Steve Dini he coached Nor Cal All-Star teams in Baltimore, Vail, and internationally in England, Australia and Japan. Recognizing the need for more support and expansion, Dave was voted Man of the Year in 2002 for his effort in getting the sport sanctioned by the California Interscholastic Federation. Dave and his wife moved to raise their family in New Jersey. He was at the Pingry School in New Jersey, coaching with New Jersey Hall of Fame coach Mike Webster, where he helped them win the Non-Public B State Championship in 2007. He is the current head coach of Seton Hall Preparatory of West Orange, New Jersey. He is on the Board of Trustees for the New Jersey Chapter of US Lacrosse. Dave is a history teacher and freshman football coach at Seton Hall Prep, and a lecturer for the Positive Coaching Alliance. He resides in Verona, NJ with his wife Suzanne and sons Will, Colin and Trevor. A lifelong lacrosse enthusiast, Jen Lee was first introduced to the game during middle school at The Baldwin School (Bryn Mawr, PA). Following a multi-sport high school career that included Inter-AC League Championship honors, Jen was a four-year letter winner in lacrosse and field hockey at Skidmore College (Saratoga Springs, NY). She earned the lacrosse high-scorer award in 1990 and was elected captain 1991-1992. She ranks in the top twenty all-time highest goals and total points. Following Skidmore, she earned a Master of Fine Arts in Printmaking/Book Arts from the University of the Arts in Philadelphia. In 1997, Lee relocated to the west coast, and where she played in the Northern California Women’s Lacrosse Association (now BayLax). 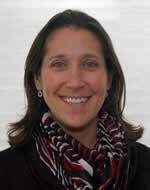 Jen is currently one of Northern California’s most prominent high school coaches. When she inherited the Menlo School program in 1999-2000, she founded the junior varsity team; both teams have enjoyed winning seasons since 2001. Lee has led Menlo to 6 league finals in the PAL (Peninsula Athletic League) and/or WBAL (West Bay Athletic League), earning 5 championship titles in the years 2004-2009. Her team achieved undefeated league records in 2009, 2008 and 2004, and dropped only 6 league contests in three of the last six years. Her 150 career victories through the end of the 2009 Menlo season rank among the highest number for girls’ high school coaches in Northern California. She recently received US Lacrosse honors and recognition for outstanding service to the game, and inclusion in the Women's Division Century Club. In addition to her efforts at Menlo, Jen is active as a leader for the development of the game. She is President Emeritus of the Northern California Girls’ Lacrosse Association (NCGLA), and played a key role in the addition of the sport to the California Interscholastic Federation (CIF) in 2002. In the off seasons, Jen coaches the Bay Area Wave club team and hosts camps and clinics for youth and high school girls. She has also contributed as a presenter for the Northern California Coaches Lacrosse Convention throughout the last ten years. Jen is the US Lacrosse Pacific regional representative, and has been a member of the US Lacrosse High School Coaches' Council since 2002. She has chaired the Nor Cal (formerly Pacific) Teams tryout and selection process for Women's Division National Tournament since 2002. Additionally, she has served on the board for Nor Cal Chapter of US Lacrosse, in several capacities, since 2001, and currently is co-vice-president. Married since 1998, Jen lives in Menlo Park with husband Andrew and their future lacrosse players: son Graham and daughter Chandler. In her spare time Lee officiates and plays whenever possible. Alexis Longinotti was a four year starter and 3 year captain for Stanford Varsity Lacrosse from 1995 to 1999, leading the Cardinal to a Western Women’s Lacrosse League (WWLL) Championship in 1999. After graduating, Alexis continued to play for the San Francisco Club Lacrosse team (Baylax), and is an active player today. Alexis was the assistant coach at Saint Ignatius Preparatory in 2001, started the lacrosse program at Menlo-Atherton High School as the Head Coach in 2002. 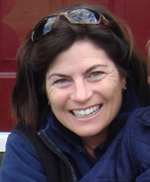 She was the head coach of the Skyline Youth Lacrosse Club 4th-6th Grade team in 2003 and 2004 and the assistant coach at Menlo School for three years (2005-2007). She is currently the assistant coach for Saint Francis High School’s (Mountain View, CA) inaugural program. In addition, Alexis has been an active umpire since 2001, and is a member of the Board for the NCWLUA (Northern CA Women's Lacrosse Umpiring Association). Alexis also served as president of the Northern California Chapter of US Lacrosse for three years, and continues to serve as a Board member. Alexis is married to Jeremy Longinotti, and has a son, Kyan (age 2.5), and a daughter, Avynn (age 1 month). They currently live in Mountain View, CA. Daniel Nourse has made outstanding contributions to the growth of lacrosse in Northern California with extensive coaching and an active role, including past president, in the Northern California Junior Lacrosse Association, an organization with over 600 clubs and 12,000 players. He has coached several all-star and travel teams including The Junior Stealth, USA West 2005 U19, 2006 NCJLA U13 all stars and the Nor Cal Braves. Currently Dan is the men’s head coach at the University of California, Berkeley where he was a 2009 finalist for coach of the year in the Men’s College Lacrosse Association (MCLA) Division 1. Having played in high school, Dan was captain and all league his senior year at Bucknell University. He continued his all-star playing career with the Golden Gate Lacrosse Club from 1974 to 1990 and is a past participant in the Vail Elite, Masters and Grand Masters Tournaments. 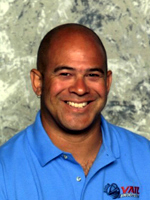 Iliad Rodriguez began his lacrosse career as a founding member and player at both his high school (Bishop O’Dowd) and college (San Jose State ‘90). He continued to coach and grow the sport at the youth level helping to establish lacrosse as a California Interscholastic Federation (CIF) sport, founding the Eastside Aztecs Lacrosse Club for underprivileged youth in East San Jose and founding Mexico Lacrosse, member of the Federation of International Lacrosse. Iliad was also president of the Northern California Junior Lacrosse Association (’96-’99) where he established and oversaw the Golden Gate Lacrosse tournament and the California State Championship Tournament. 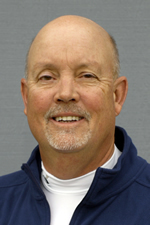 He has coached varsity and junior varsity programs at Menlo School, Bishop O’Dowd and Leland High Schools as well as many all-star travel teams. Iliad currently serves as the US Director of Mexico Lacrosse and is coordinating their efforts to participate in the 2010 World Lacrosse Championships in Manchester, England. Iliad is the third of ten siblings and lives in San Jose, CA with his wife Stacie and son Degan. He is a 11th year teacher at Leland High School and enjoys spending time with his family as well art, woodworking and going to the movies.